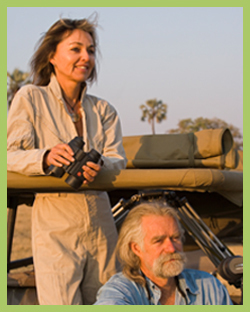 Wildlife Media & Conservation Keynote Speakers - Jackson Wild: Nature. Media. Impact. Moss is the author of four books: Portraits in the Wild, Elephant Memories, Echo of the Elephants and Little Big Ears and co-author (with Laurence pringle) of Elephant Woman. In 2011, Moss and her colleagues published a scientific volume on the AERP research results. Edited by Moss, Harvey Croze and Phyllis C. Lee, The Amboseli Elephants: A Long-term Perspective on a Long-lived Mammal covers the first three decades of research into the Amboseli elephants. She has written numerous popular and scientific articles and has made six award-winning TV documentaries about elephants, the best-known being the films following the famous matriarch Echo and her family. In 2002 she was awarded a MacArthur “genius” fellowship, a 5-year grant given for exceptional creativity and a demonstrated track record of significant achievement. Edward Wilson is one of the leading American scientists of our time. A biologist, his life-long passion for insects led him early in his career to become the world’s foremost expert on ants, but this was just the beginning. He went on to make ground-breaking contributions to evolutionary theory and the study of population dynamics. His 1967 book written with mathematician Robert MacArthur, The Theory of Island Biogeography, is widely considered to be the cornerstone of conservation biology. But perhaps his greatest contribution has been to the study of social behavior in the animal world. Wilson’s 1975 book, Sociobiology, created one of the great academic controversies of the late 20th century but revolutionized thinking about the bases of animal societies, including our own. It opened up new avenues for thinking about human behavior and psychology which are still being explored today. Later in his career, he embarked on a grand re-thinking of evolutionary theory as it applied to social animals. His open espousal of the theory of “group selection” has brought him into conflict with many scientists, notably Richard Dawkins, but reinvigorated the field. Throughout his career he has been a tireless champion of conservation. 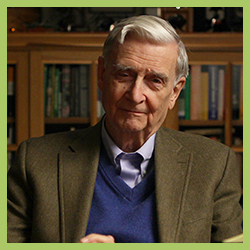 A fine writer, Wilson’s books on philosophy, religion and the natural world have made him one of the most widely read scientists of our era and earned him two Pulitzer prizes. Specializing in wildlife and marine conservation films for television and large format theaters, Howard and Michele have worked together for more than two decades. Their projects include three episodes of the PBS series Nature and a National Geographic Special. Howard’s career as an underwater wildlife film producer, cinematographer, still photographer and writer began in the early 1970's. Fro﻿m 1976 until 1988 Howard hired out his cinematography skills to other producers. Among his favorite projects were the 16 episodes of the Wild Kingdom series he filmed and directed; filming for Survival Anglia; ABC's Dolphins, Whales, and Us; and being the primary cameraman for the 1981 National Geographic Special: Sharks. In addition to winning a Peoples’ Choice award at the very first Jackson Hole Festival and a Golden Panda Award at Wildscreen, the Hall’s television work has resulted in seven Emmy awards. Howard and Michele Hall are perhaps best known for their underwater IMAX films. In 1994 Howard directed the first underwater IMAX 3D feature, Into the Deep. In 2002 Howard was underwater sequence director and Michele was location manager for MacGillivray Freeman’s Coral Reef Adventure, a film in which both he and Michele are featured on-camera. Michele produced and Howard directed Island of the Sharks, Deep Sea 3D and Under the Sea 3D. Their IMAX features had grossed more than $200 million in box office receipts and won awards from Jackson Hole, Wildsceen, Giant Screen Cinema Association and the International 3D Society.